Maximizing the storage space in your warehouse is a critical task to gain flexibility for a variety of storage needs. Whether your warehouse is partially empty or packed full, the efficiency of the layout allows for organized storage that is easy to access and inventory. Industrial shelving systems that make the best use of the available space can offer vertical storage and immediate access for employees to provide a quick response and outstanding customer service. A good storage solutions company will have the shelving systems expertise to provide answers to your storage organization needs. A good warehouse shelving company offers many types of industrial storage shelves, including riveters boltless shelving, gravity carton-flow shelving and platform or mezzanine shelving. Boltless shelving offers simple installation that can be accomplished with only a rubber mallet. Steel shelving provides strength for maximum payload capacity in the size and shape (you require) for your customized needs. Closed shelving, open shelving and multi-level systems provide protection and offer quick access to products. Lengthy spans, secure bracing, simple assembly and easy forklift access are assets for your warehouse and allow you to focus on business growth rather than storage complications. In many cases, a full warehouse is simply a disorganized warehouse with inadequate shelving. By identifying problem areas, you will find the opportunity to improve efficiency while using every bit of room. Floor space is finite, but vertical storage can offer a huge increase in the amount of product that can be stored. Vertical storage requires the right type of shelving for the products with a focus on safety and easy access. Using available warehouse space poorly is a common problem, and it is easily resolved with custom industrial shelving systems. Even when business is strong, a warehouse can suffer from sluggish operations due to an overabundance of stock or slow-moving inventory. 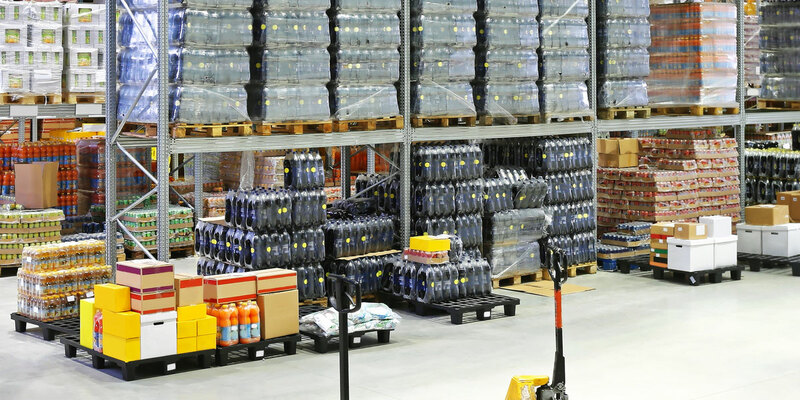 The need to store product in aisles, on docks or other inappropriate spaces throughout the warehouse can become a roadblock to efficient service and can also cause safety issues by blocking visibility and access. Creating a new design for industrial storage shelves is an investment in the continued efficiency of your warehouse. When your warehouse is well organized, you’ll also be able to quickly identify bottlenecks without analyzing inventory data. Aisle width is also important to consider when choosing industrial shelving solutions for your warehouse. Wide aisles make it easy for employees and forklifts to move throughout the space, but does your shelving design and spacing optimize the use of your warehouse? Redesigning your warehouse is an investment, but it is one that should pay for itself in a short period of time with more efficient product handling, safer operations, storage flexibility and the ease of locating product in a tidy, well-organized space. The assistance of an industrial shelving company with a variety of shelving types and styles will help you evaluate your floor and aisle configuration while choosing shelving that will maximize your available warehouse storage. One of the most efficient ways to gain vertical space in the warehouse is the addition of mezzanine or platform shelving. With the ability to gain room by adding a second floor of storage, you will create the ideal space for small amounts of inventory, broken cases and loose inventory items. Because mezzanine shelving offers a second layer of flooring, it can also be used for work functions such as packaging or shipping preparation while leaving plenty of room for large, heavy products on the ground floor. Evaluating shelving storage for size relative to the type of inventory that is being stored can also help to maximize the efficiency of your warehouse. Valuable space that isn’t filled or is too large for smaller items can be evaluated and reorganized. By storing smaller products on industrial shelving that specifically meets their size needs. The larger spaces can be reserved for big or fast-moving items to increase access and efficiency. Best practices include keeping frequently accessed items closer to the dock and shipping office so they can quickly be loaded and stored or retrieved. Evaluating and reconfiguring your warehouse with the help of a storage solutions company is not a simple project; it requires careful planning and high-quality industrial shelving systems that are perfectly tailored to your unique needs. However, taking the time to configure and organize your warehouse now will serve you well for many years, as it will result in a warehouse that allows your business to run like a fine-tuned machine. Alex white is a Senior Marketing Officer at Western Pacific Storage Solutions [http://www.wpss.com], with responsibility for marketing programs, brand management, and corporate sponsorship. He has worked for strategic business development and marketing at several companies. In his leisure time he enjoys writing on various burning topics and loves adventure travel.